The rising volume of non-performing loans (NPLs) across various eurozone countries, in particular in southern and southeastern Europe, has been a constant challenge for policymakers in recent years. Moreover, their high NPL levels on bank balance sheets have impaired the asset quality of domestic lenders and necessitated an increasing amount of provisioning, thus binding up valuable capital that could otherwise be lent to the real economy. Two examples illustrate different approaches to NPL resolution. While the political authorities in Athens are focusing primarily on a revised legislative framework mandated by the compliance requirements in the third programme, the recent Italian approach has been centred on a public-private partnership involving commercial banks and the treasury in Rome. The magnitude of the challenge to address NPL resolution head on is reflected in the following numbers. In Italy, the total non-performing loan exposure of banks reached an estimated 360 billion euros, equivalent to a fifth of GDP, in 2015. The systemic nature of the problem is further underscored by the reality that more than 200 billion euros of these NPLs are termed sofferenze in Italian, that is, bad loan debt of insolvent creditors. In point of fact, the situation in Greece is even more dramatic. The so-called kokkina daneia (literally “red loans”) reached a volume of 103 billion euros at the end of 2015, of which 46 billion euros were corporate loans. The overall NPL level corresponded to 50 percent of the banks’ total loan portfolio. Greece’s GDP in 2015 reached 176 billion euros. Thus, NPLs accounted for 56.8 percent of Greece’s annual GDP this past year, a rate unsurpassed anywhere else in the eurozone. In light of these NPL-to-GDP ratios, the urgency to act is self-evident. But the politics of NPL resolution are controversial and the legal details complex. Adopting such a framework is fraught with debates about past irresponsible lending practices by commercial banks, how burden sharing can be adopted and what protective mechanisms need to be put in place for lenders and certain creditors. Initially, the Greek approach was a combination of imposing a moratorium on repossessions (which all governments have supported since 2008) and transferring the problem to the legal system. In practice however, law 3869/2010 – colloquially known as the Katseli law after the minister who drafted it, Louka Katseli – overburdened the courts. There are currently more than 170,000 pending cases, with legal hearings scheduled until 2032. Such an extensive timeline favours those who least deserve it in Greece, namely strategic loan defaulters. Various estimates point to about 20 percent or even more than 30 percent of these fraudulent creditors, who can repay their loan but, instead, prefer to milk the system. Instead of being allowed to kick the can down the road like its predecessors, the Tsipras government has been obliged by Greece’s official creditors to address the root causes of the NPL problem as a prior action in the third programme. The legal framework that is to be voted into law by MPs this coming Sunday prevents any repossession of primary residences with an “objective” property valuation of up to 140,000 euros. This threshold excludes the sale of the vast majority (roughly 94 percent) of NPLs linked to mortgages until at least 2018. In the event that sales of NPLs held by banks do take place, the procedure can only include (international) debt collection agencies registered in Greece and distressed debt funds licensed by the central Bank of Greece. Under these circumstances Greek banks will also have to comply with the new regulations mandated by the Single Supervisory Mechanism (SSM) of the European Central Bank (ECB). They are obliged to reduce their NPLs on a yearly basis by 15 percent, either through refinancing agreements with private and corporate creditors or outright sales to third parties. Towards that end, Alpha Bank and Eurobank are teaming up with the US private equity firm KKR to provide capital and manage exposures to underperforming assets, including NPLs. The European Bank for Reconstruction and Development (EBRD), which became a shareholder in Greece’s four systemic banks last year, is considering co-investing in the partnership. KKR’s involvement in Greek NPL management is an expansion of its bad loan platform Pillarstone, which was launched in Italy in 2015. 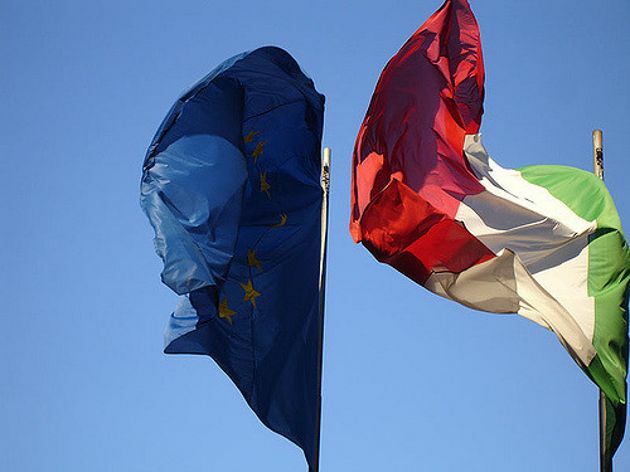 The Italian approach to NPL resolution has primarily focused on the finance ministry summoning leading financial institutions to the negotiating table and working out a market-driven strategy. The result of these deliberations is an innovative financial engineering instrument termed Atlante, named after the mythical Atlas who held up the sky. The title underlines the magnitude of the challenge in Italy. The newly launched private equity fund is tasked with two objectives. For one, it serves as a financing institution to recapitalise weak domestic lenders through contributions paid into Atlante by a total of 67 financial operators, mostly banks (such as Intesa Sanpaolo, UniCredit and UBI Banca), insurers (like Generali and Allianz) as well as banking foundations. Italy’s national promotional bank Cassa Depositi e Prestiti is also an Atlante shareholder. The paid-in contributions currently total 4.3 billion euros in equity. The goal is to top them up to 50 billion euros through a complex leverage mechanism. Therefore, Atlante has been termed a “systemic bazooka”, aimed at avoiding a potential meltdown of the Italian banking system. Its first test case was the immediate rescue of Banca Popolare di Vicenza (BPV), a regional bank in the northeastern city of Vicenza in April. BPV’s mandated capital increase by the ECB failed to attract private interest. It was subsequently entirely underwritten by Atlante, with the result that it now holds 92 percent of the bank’s capital. The second objective of Atlante is no less critical: expanding a secondary market for NPLs by serving as a buyer and reseller. Through the securitisation of this risk-prone asset class, the fund can use 30 percent of its equity to buy junior and mezzanine NPL tranches. The senior tranches are guaranteed by the Italian treasury. The sheer volume of distressed debt in the Italian banking system cannot be solved by a private equity fund such as Atlante alone. The dual nature of Atlante’s mandate is also its most challenging element. The more the fund is being called on to underwrite weak regional banks’ recapitalisation needs, the less resources are available for parallel NPL resolution. Meanwhile, the queue for underwriting bank IPOs is growing in Italy. The next candidate due to initiate a cash call is Veneto Banca in June. As both country cases illustrate, NPL resolution is high on the agenda of policy challenges and the urgent search for viable solutions. The Italian and Greek banking sectors have large exposure ratios. Drawing a line under these bad assets is not only a domestic issue. Burden sharing remains a high priority for the ECB in Frankfurt when monitoring these developments. To what extent banks in Italy and Greece are prepared to sell parts of the NPLs on their balance sheets is a controversial issue. As long as the price differential between the book value at which NPLs are recorded and their expected market price is so large, buyers and sellers will hardly come to terms. It’s no wonder, therefore, that it requires a gargantuan task under the name Atlante to meet the challenge at hand in Rome. While such terminology is not being used in the Greek case, the efforts necessary to do the heavy lifting in Athens are no less challenging. This article first appeared in our weekly e-newsletter, which is available to subscribers. There is more information about subscriptions available here. Due to state aid rules, the solution Rome and Brussels came up with was that Italian banks can choose to purchase state guarantees at market prices on the least risky tranches of bad debt. But this deal depends in large part on investor interest. Moreover, while the 5 billion euro fund may boost confidence in Italy’s banking sector in the short term, it will ultimately do little to address the 360 billion euros in bad debts currently on banks’ balance sheets. The crisis is already here. It has now gone even further, with Italy, Portugal and Spain all struggling under the weight of non-performing loans and banks’ unwillingness to significantly boost lending at a time when these economies are far from prospering. The EU is fragmenting, and the bloc’s lack of cohesion will likely prevent Brussels from being able to come up with a comprehensive and effective plan to address the challenges facing three important yet diverse economies in the south. The schemes that have been implemented and that are being considered are not enough to effectively address southern Europe’s banking woes.